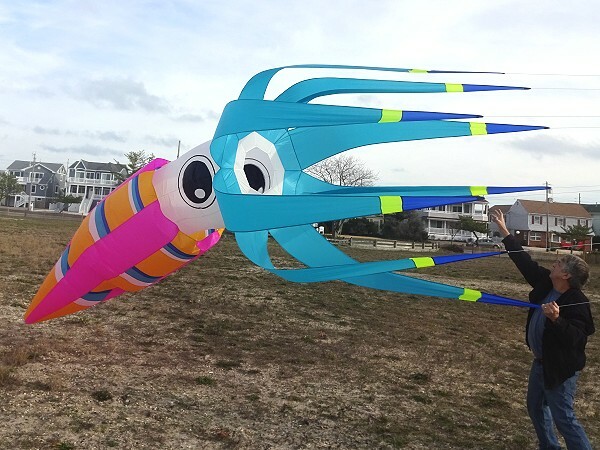 Designed by Ray & Jeanne Merry and personally hand crafted by Ray Merry, this one-of-a-kind creature from the deep flies high on wind power. 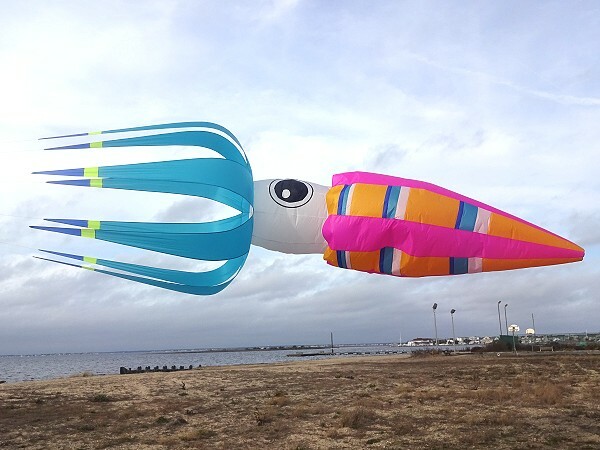 Three dimensional giant squid, including eyes, that takes shape inflated by the wind. Requires a large lifter similar to an UltraFoil 30 or bigger. Alternative colors & sizes built to order. Comes in fabric stuff-bag.